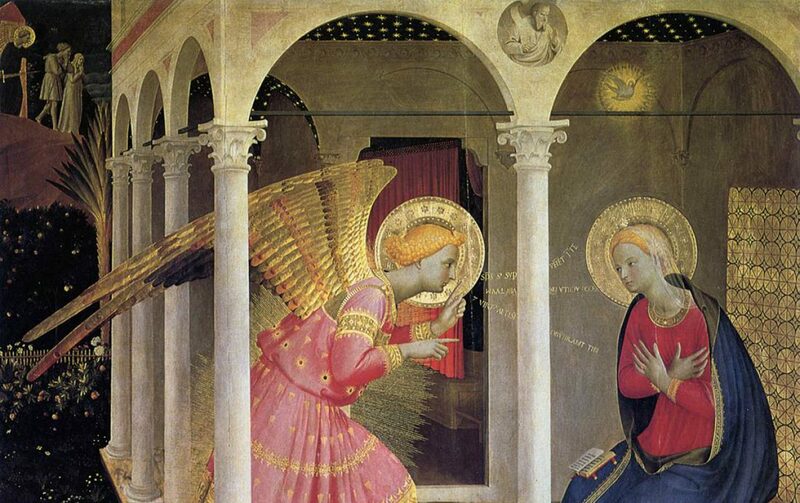 Upon hearing the message of the archangel Gabriel, the ultimate decision by Mary that “Let it be done to me according to your word” conclusively and forever changed cosmic and spiritual history. For at the moment she said “Yes” to Gabriel, our salvation and redemption, through the Cross, began. Let us not forget, however, that Mary’s “Yes” had a tremendous affect on her, too. It required a great cost from her personally because it resulted in the Crucifixion – it resulted in the sacrifice of her own son Jesus – and – the sacrifice of her own heart. He goes on to say, “Maybe there is another point: for all people are born at Mary’s “Yes.” This must be understood: such a Yes in imitation of Mary creates joy, a new life, a breath, a blessing;” it creates opportunities for us to sacrifice our own hearts in imitation of her and the Holy Family. So as we enter the 5th week of Lent let us celebrate this Solemnity by trying our best to live like our Blessed Mother – a person with complete confidence in the Lord. Let us say Yes to God in imitation of Mary and allow the Lord to work wonders in our own lives, as well. Images in order of appearance: A 13th Century Byzantine icon of the Annunciation from St. Catherine’s Monastery in the Sinai; Henry Ossawa Tanner’s Annunciation (1898); John William Waterhouse’s Annunciation (1914); and Bartolome E. Murillo’s Annunciation completed between 1660 -1665, and please don’t forget to do some research and take a closer look at one of Fra Angelico’s versions of the Annunciation! Please also notice that in Waterhouse’s and Murillo’s renditions both artists have included the tradition that Mary was in the process of sewing the veil that separated the Holy of Holies from the outer room which housed the Altar of Incense in the Temple in Jerusalem; other artists, such as El Greco, do that too.